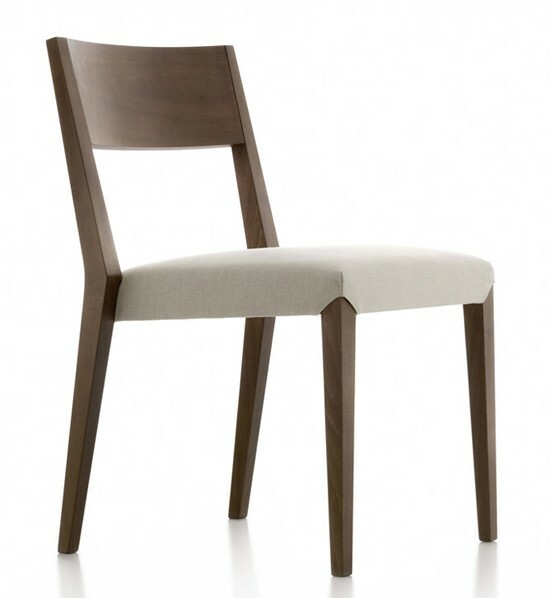 A modern dining chair with a contemporary, clean design. 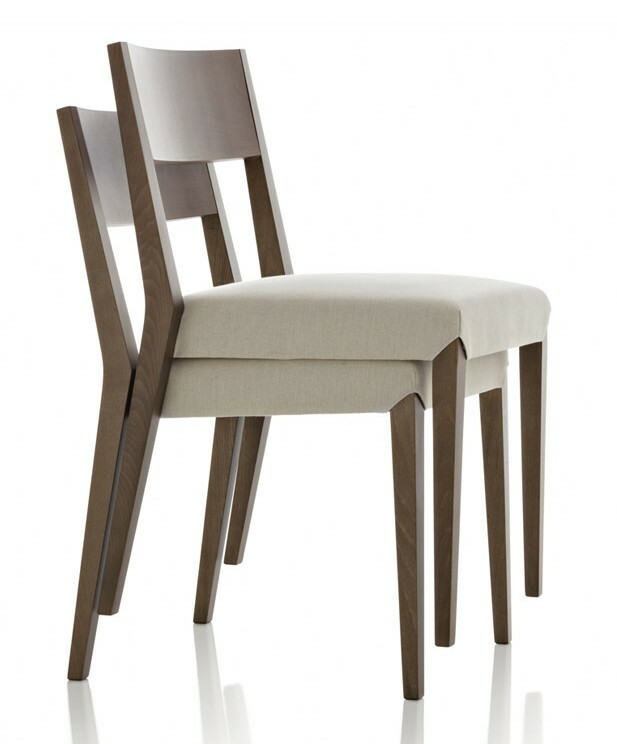 The slender wooden frame and simple lines give this chair a strength and freshness that is infectious. The seat is sprung with elastic webbing, padded with polyurethane and covered in leather or fabric. See corresponding samples below for all available wood, leather and fabric finshes. Structure in solid beech wood, see all stain options below.